Nell Elder began her career as a News Graphic Artist for WTTG Channel 5 10 O’Clock news. She then worked for the Washington Post Magazine as a designer and production artist. Nell is President of Nell Elder Design, a graphic design business operating out of Southern Maryland. Nell began working as the Executive Director for the Arts Council in July 2014. Ms. Elder has designed the program and marketing materials for the River Concert Series at St. Mary’s College of Maryland since it’s inception in 1999. Although she has worked professionally as a graphic designer for the past 30 years, she has always found time to express herself through art. Wednesday Davis has been a part of the SMCAC team since September of 2017, filling the role of Outreach Coordinator. You can find her in our gallery two days week to learn about upcoming arts-related events, volunteer opportunities, and Arts Council programs and initiatives. Originally from California, Wednesday relocated to the area with her husband following his military retirement. She draws upon her travels to places such as San Francisco, Austin, and Asheville to bring innovative ideas and creativity to the local arts scene. Caitlin Wakefield has been working within the art community in St. Mary’s County since she moved back to Maryland in 2017. Caitlin started her work with Carrie Patterson, at Yellow Door Art Studios, helping teach art classes to younger artists. She then began working at the St. Mary’s County Arts Council in 2018 and has been able to meet and work with many local artists. Being able to be apart of a community so passionate about the arts is exactly what she was looking for. Laschelle McKay currently serves as the Town Administrator for the Town of Leonardtown. She has held this position since June of 2000. The Town Administrator is responsible for all of the day to day operations and management of the Town as well as all capital projects. As Town Administrator, Laschelle also oversees the Arts and Entertainment District and coordination of a variety of public events held in the town each year. She lives in Hollywood, MD with her husband, Tommy. Dr. Christine Bergmark has 30 years of experience in research, education, and development, both nationally and internationally. She is a strong entrepreneurial professional, skilled in economic development and strategic planning. She is a facilitator, educator, and mediator. 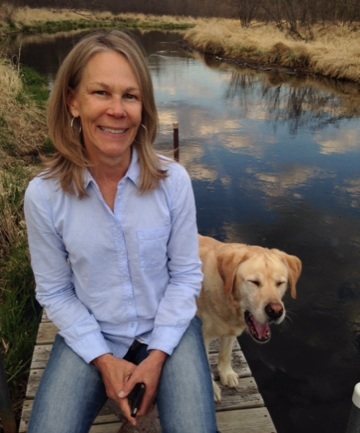 Dr. Bergmark possesses impressive leadership abilities, and has a rich background in community development, food systems, environmental programs, marketing and public policy. She has developed numerous educational and outreach programs for diverse audiences, including university, community, and elected officials. She is a co-founder of the Chesapeake Public Charter School. She has a passion for humanities and the arts, and created the Southern Maryland Trails: Earth, Art, Imagination program showcasing Southern Maryland arts, farms, food, parks, and cultural heritage. Prior to her work as a consultant, Dr. Bergmark was the Executive Director of the Southern Maryland Agricultural Development Commission, and the Science Advisor for the United States Agency for International Development. She currently resides in St. Mary’s County, where she runs a 104-acre organic produce farm with her husband. Julia Nichols has lived in St. Mary’s County since 1997. After receiving her BA in French from Yale University and her Masters in Library Science from the University of Maryland, she worked at St. Mary’s College of Maryland and Historic St. Mary’s City in the development office for several years before leaving to stay home with her children. Julia has served on the boards of the MOMS Club of St. Mary’s County (2002-2006) and the Chesapeake Charter School Alliance (2006-2012). She founded the Southern Maryland Youth Orchestra and Choir and has served as President of the Board for SMYOC since 2011. Julia has played violin since the age of five. She was a member of the Vermont Youth Orchestra during high school and played with the Gilbert and Sullivan Society at Yale University. It was her experience in her youth orchestra that inspired her to start SMYOC. Julia currently teaches Suzuki violin lessons to a small group of students. She has three children who play violin as well as other instruments. Barbara Bershon was appointed to the Maryland State Arts in 2008 and served as Chair from 2012 to 2014. Bershon also serves on the Mid Atlantic Arts Foundation Board where she was Secretary and is currently the Vice Chair. Bershon is the Emeritus Executive Director of the Chesapeake Orchestra in Southern Maryland. She is also a past president of the St. Mary’s County Arts Council. For many years Bershon was Director of Arts Outreach at St. Mary’s College of Maryland where she was the Managing Director of the River Concert Series at the College. Michael Brown has been a member of the Arts Council board for 6 years. He has resided in St. Mary’s County for almost 40 years. He likes to say he has no arts skills what so ever, but does have an extreme appreciation for all types of art. One of the reasons that he has been part of the Arts Council is to assist in bringing art to all people of St. Mary’s County. No matter what their age, income, or ethnicity, he wants everyone to have the opportunity to be exposed to the arts. He is on the board of the Unified Committee for Afro-American Contributions, and has been instrumental in bringing us the Juneteenth Celebration, held in Lexington Park. Mike is a singer and a member of the board of directors of St. Maries Musica, an a capella choral group that entertains in all of Southern Maryland and beyond. He is a lifelong choral singer having performed nationally and internationally while in college at Indiana University and as a member of the Wolf River Singers in Memphis, TN. He has also performed with the Light Opera Company of Southern Maryland. He has been a member of Musica since the early 1970s and now serves as its treasurer and fund raiser. Heidi Kaselemis moved from Tucson Arizona to St. Mary's county in 2015 and is enjoying the uniqueness and beauty of Southern Maryland. After graduating from the University of Arizona with a BFA she pursued a career in interior design and retail management until deciding to be a stay-at-home mom and raise her children. Heidi has always been very active in her church and community. She has had the privilege of serving on committees for; Ballet Arizona, Moms in Prayer, Bible Study fellowship International, Boy Scouts, Young Life, and other organizations. Heidi lives in Leonardtown with her husband Chris and miniature Dachshund Kelvin. Deb McClure started drawing and painting with tremendous glee in kindergarten and started drawing in earnest in her teens. She became fascinated with watercolors in her twenties. She completed several stained glass pieces as well during the 70s and 80s. In her thirties, she started selling her watercolor collages to collectors and decorators. In her forties and fifties Deb worked as a muralist and faux finisher, using primarily acrylics and venetian plaster. Deb has since experimented with many forms of 3D collage since and has a special interest in wind chimes made with natural materials and fibers. She enjoys working with other artists on collaborative projects. Colonel Susan P. McNeill (USAF, ret.) served in the United States Air Force as a Judge Advocate and earlier as Procurement Officer for over 23 years. She spent her last years before retiring in a variety of litigation and Headquarters, Air Force legal staff positions, and as a representative of the Air Force with the Department of Justice. She has been a St. Mary’s County Planning Commissioner or Board of Appeals member for 10 of the last 17 years and is a former President the Maryland Citizen Planners Association (now the Maryland Planning Commissioners Association). 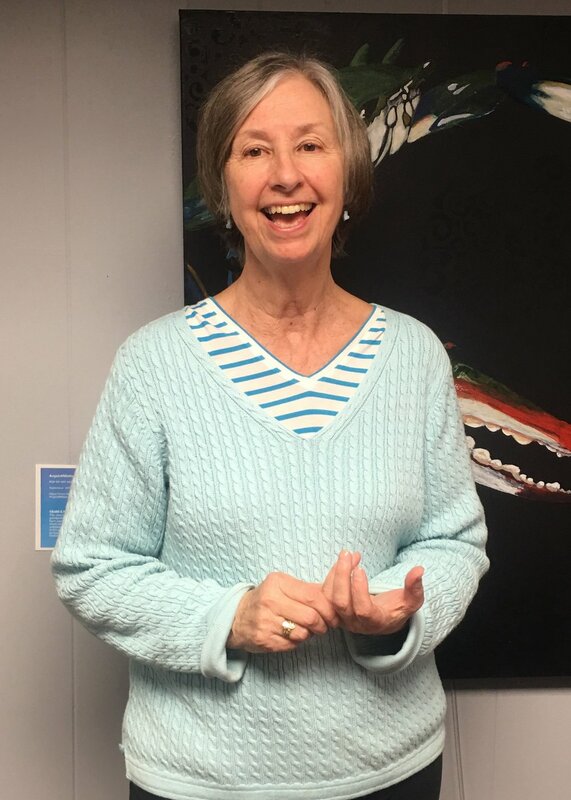 As a volunteer arts administrator, she has been one of the founders and managers the St Mary’s College Art Arts Alliance Arts Bridge Program which has, since 2003, provided multi-disciplinary arts education at St. Mary’s College to hundreds of County high school students. She has also been a member and/or officer of the St. Mary’s County Arts Council since 2006. Hailing from Va. Beach, Donna Jordan has been celebrating dance and movement for a lifetime. She continued to follow her passion for years to come taking dance and movement classes all over the world. All different styles, all different types - all different focus - from hip hop to ballroom to bellydance to ballet - there was no dance style she didn’t like to explore. In 2002, when she moved to St Mary’s County, MD, she shifted gears, gave up her fulltime career as a Chemist and traded it in for the lifelong passion of dance by teaching dance and movement full time. She has been delighted to work with schools, colleges, nonprofit agencies, and countless others who wish to open their minds to possibilities that dance can bring. Even though she dances for the sheer organic pleasure of it, she has competed and won in national ballroom competitions (such as the Baltimore Dancesport Showcase in 2012) and the International Dance Showcase in Senegal, West Africa. Jeffery Silberschlag, Music director and founder of the Chesapeake Orchestra since 1994, is the winner of the European Union Lifetime Achievement Award for Music and the 2009 Governor’s Citation for Providing Music to the Southern Maryland Region. Since 2001, Mr. Silberschlag also holds the position of co-music director of the Alba Music Festival in Italy. He has recorded with the London Symphony, London Philharmonic, Warsaw Philharmonic, Seattle Symphony, and Czech Radio Orchestra. Mr. Silberschlag has directed over 60 major orchestral world premieres.